Business Insurance & Bonds - Hitchman Insurance Agency Inc. 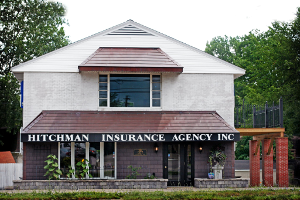 Since opening our doors in 1939, Hitchman Insurance Agency has provided Advanced and Dependable Service to individuals and businesses for over 75 years. Family-owned and operated, our staff of experienced agents have more than 90 years of combined experience. Difficulty placing a unique risk? We can help you place coverage. Call us today for any and all of your insurance needs. As a fourth-generation business, we have stood the test of time, and have strived to remain tried and true, reliable agents. We believe our fundamental roots of old fashioned service have carried through each generation while still remaining innovative in technology to provide you with quality service. We believe in keeping our clients #1. From providing timely quotes to assisting during the claims process, we will support our clients however we can. Once we have worked together with a client to put a policy in place, we will review coverage regularly to ensure it is still the most fitting. To begin working with a knowledgeable, friendly agent, please request a quote. Whether you are shopping for Probate, Guardianship, Contractor etc… Obtaining a surety bond, can often times be difficult and time consuming. At Hitchman Bonds & Surety, we created a process to issue bonds fast. Once quote requests are submitted, we can have your bond issued within 24 hours. We also offer courier service to get the bond in your hands quick and seamlessly. Welcome Farmers! To your one stop shop for crop and farm insurance. When matching a customer for Farm insurance, we thoroughly examine their unique needs and exposures before making appropriate recommendations. Our agents are available to you, so if you have trouble breaking away from your everyday routine, we will come to you! Our farm programs have competitive rates and valuable products. And from this point forward, start expecting more from your crop insurance provider. In addition to having your back if something goes wrong, we want to help improve your profits and maximize return. We start with everyday risks, which cover things like drought and disease to cover your crops. Because protecting your business matters, you want to place your coverage with a dependable agency. Our ability to quote your business through multiple carriers such as Nationwide, Wayne Mutual and Motorists, gives us the power to provide you with the most competitive rates for business insurance. Our connections we have built with these companies has lead us to be able to obtain difficult-to-place coverage that our customers may have a tough time finding elsewhere.